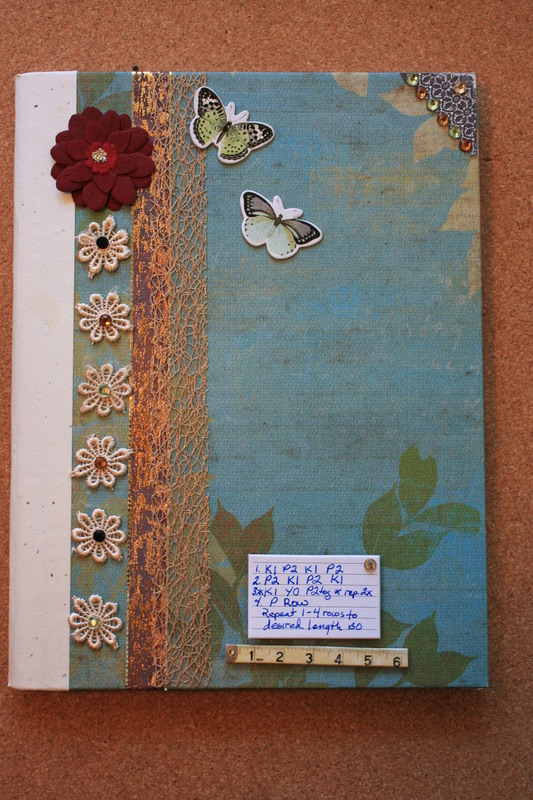 This is one of my favorite altered composition books. The scrapbook paper is perfect for a recipe book. 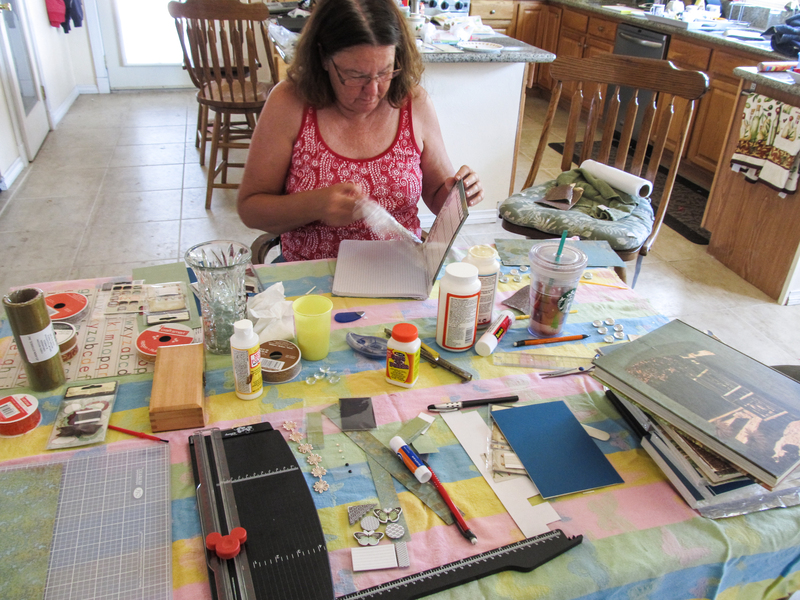 Curls and I featured our Altered Composition Book tutorial on our Aug 6, 2012 blog. Because I often change recipes into different sizes, since there is just two of us at home now, I used one of my large recipe cards to add handy measurements to the front. What’s inside you ask? 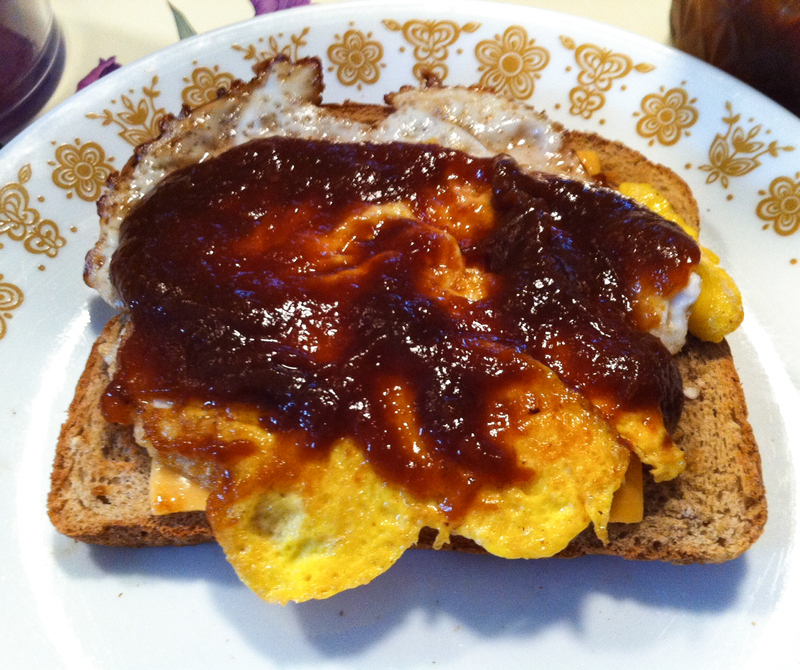 A lot of different recipes I find online to try. This is an eco-friendly way to collect recipes. I’ve done away with all of the printing, saving both paper and ink. 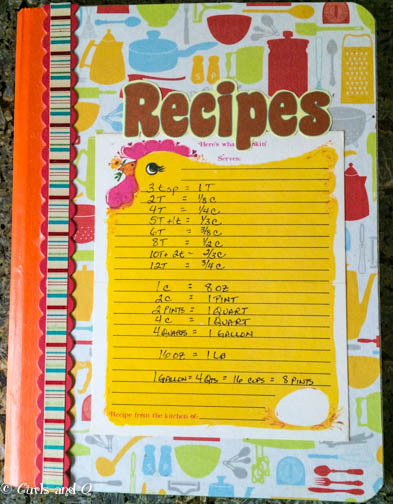 If I find that we don’t like a recipe, I just write a big “YUCK” and draw a “x” through it. I’ll also paste another recipe on top which I’ve cut from a magazine. I do have two arrow tags marking my much used Everything Granola and Cheesy Garlic Biscuits recipes. The biscuits are an American biscuit, so don’t think sweet treat. Thanks for stopping by. 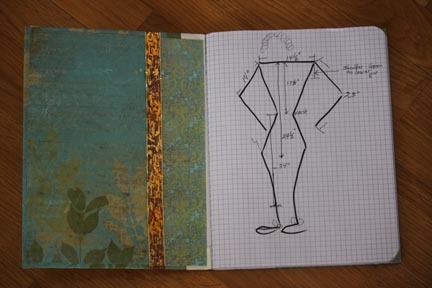 Go be crafty and alter a composition book. – While going through my knitting magazines, I came across this article about measurements, “DESIGN Guidelines for your Sweater Patterns,” by Susan Lazear. It was published in IN Knitters Magazine, Spring 2005. I thought not only is a knitted swatch important, but so are your measurement. So Q and I “measured up.” We helped each other with the hardest areas on ourself to reach. 1. Upper Shoulder Point – This point is where the garment hangs each side of the neck. 2. Shoulder Width Point – Make sure when measuring the shoulder you are not “falling over the cliff.” Your sleeves need to have a place to hang from. Be sure to measure your front and back shoulder widths. The front width is usually one inch smaller. Most yarns are giving, so you can use the same measurement for both front and back when making or adjusting a pattern. 3. Garment Width – This is the largest measurement for your hips, waist or bust. Take the largest measurement and divided it in half. This becomes the width measurement for the garment. If you want the front left or right measurement, you divided it in half again. Note: If you are making a waist length garment, you would you your measurements for you bust or waist. 4. Armhole Depth – Measure from the top of the shoulder to under your arm. I measured from the back and added one inch to the measurement to give me some room. 5. 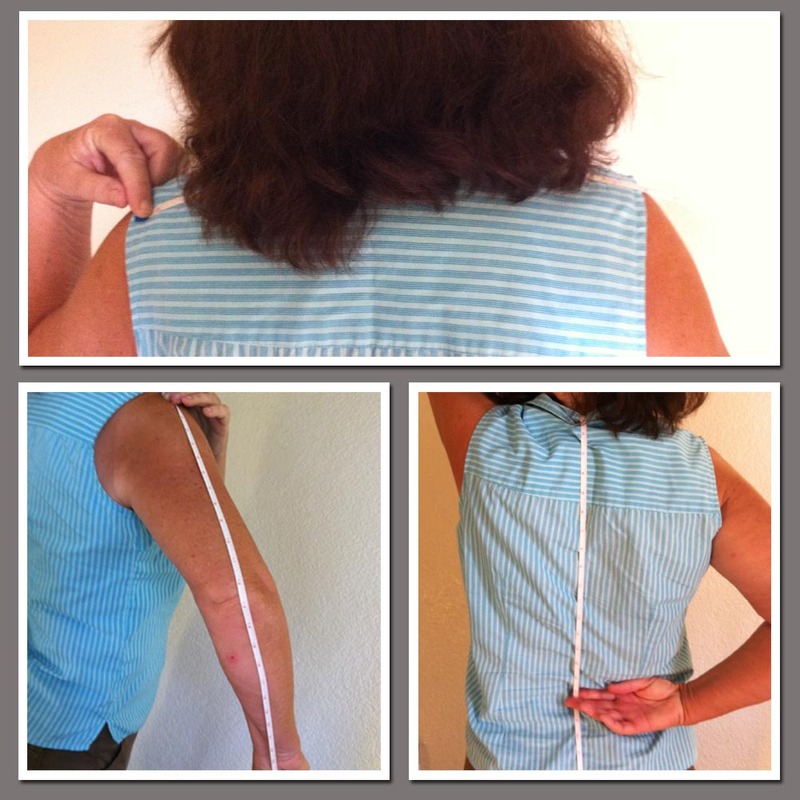 Garment Length – Measure down from you neck point and let the tape hang. Also, measure from the front and let the tape hang to see which length you want the garment to hang to. Be sure not to have your garment end at place you do not want peoples eyes to drawn to. ~This is why my measuring tape didn’t make it back to my knitting accessories’ holder. ~We LOVE journals. 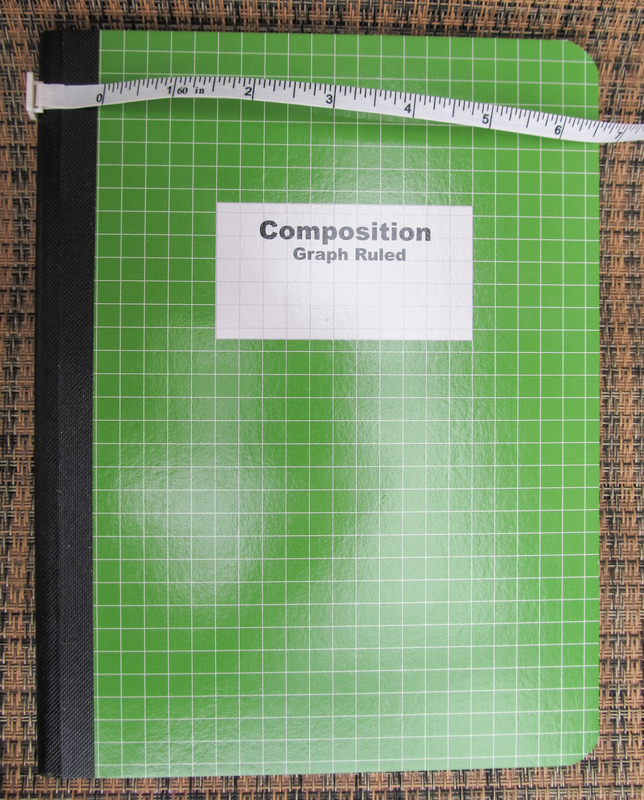 I have altered the covers to sketchbooks, but I have been wanting to cover a graph-grid composition book. Now is the time to purchase them, the regular composition books are about 25 cents at discount stores and the graph-grid books are $1 at Staples. I really have to cover it! 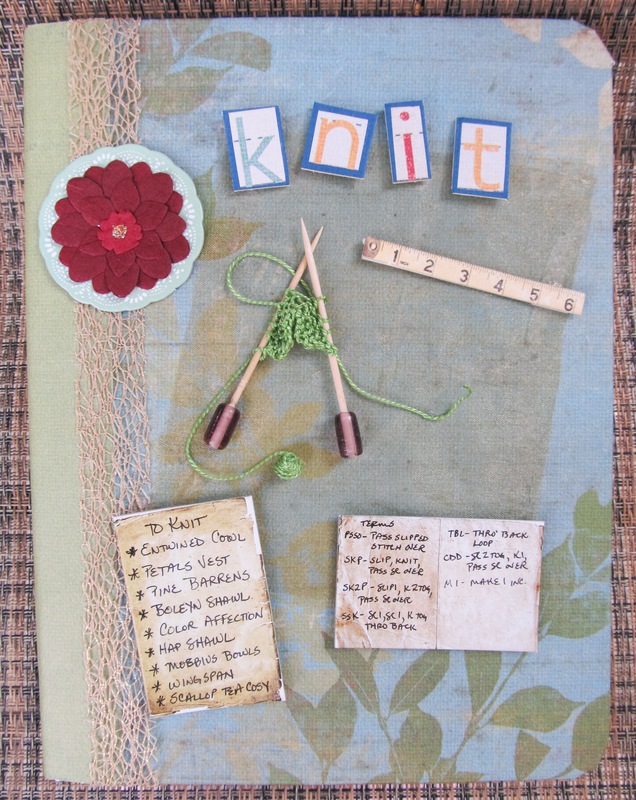 I love lists and how perfect to have a covered composition book for each hobby. 😎 This one will be for my knitting notes. I purchased the paper supplies at Michael’s. Each book will be about $5. A great gift idea. This is the project I brought to Curl’s for the Chick’s Only days. Totally surprised her. Look how much fun she’s having. 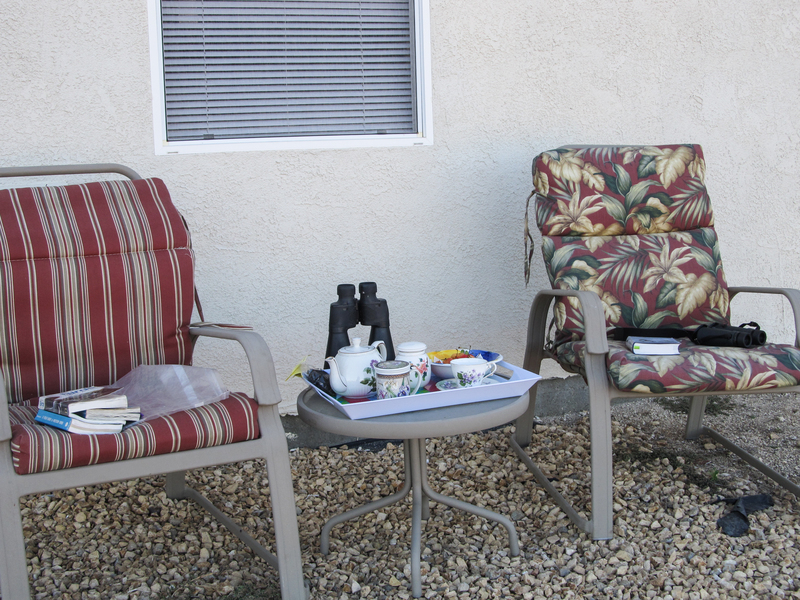 Here are the composition books and materials. 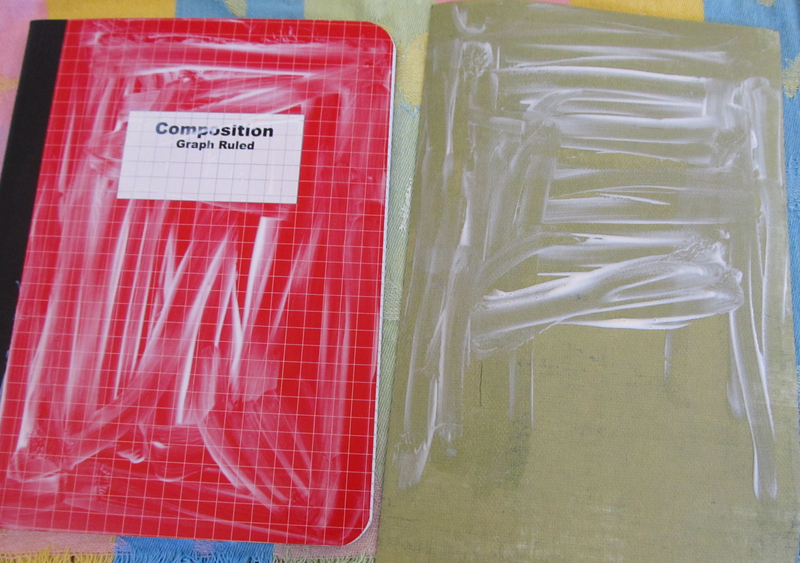 These are the incredibly wonderful altered composition books. Instructions follow the examples. Step 1: First decide whether or not you want to wrap the paper around the edges or not. 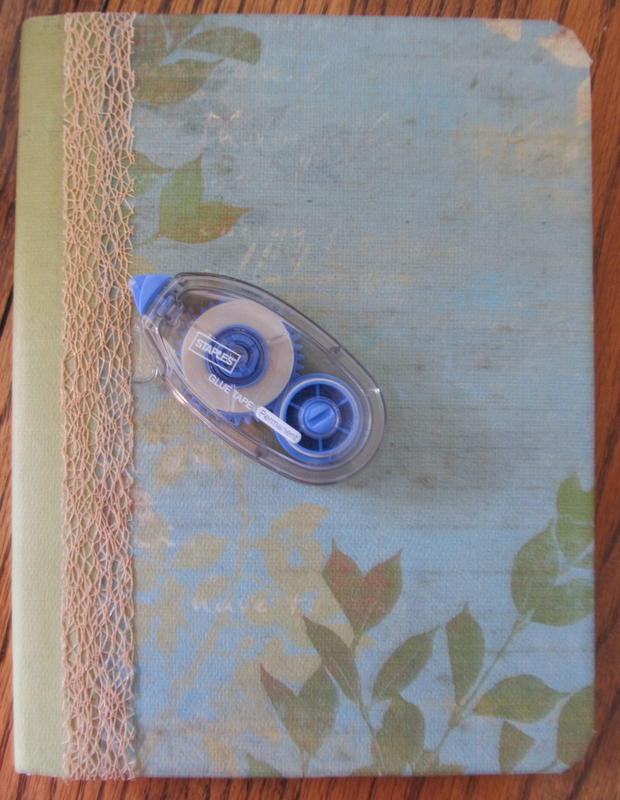 If you don’t want to wrap the edges, glue the paper to the top and use an X-acto to trim close to the book. I want a more finished look so I measured the size of the book added a 1/2 inch to top, bottom and edge so I could wrap. Next time, I think I’ll use 1″ – I think 1/2″ was too skimpy. Step 2: Glue the paper to the top of the book. We used Mod Podge on the book and the paper. Use a folding bone to make sure paper is flat and “squeeze” out all of the air. 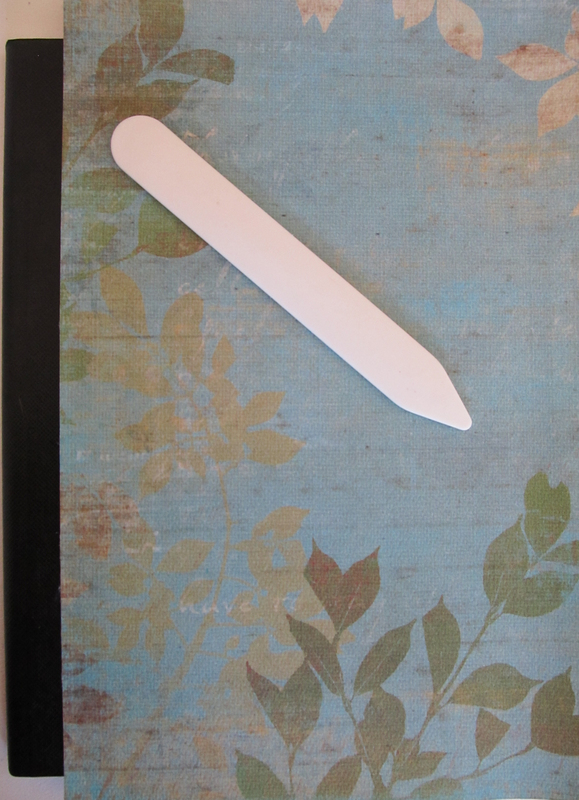 Step 4: Fold the paper to the inside of the book using the bone tool to get a crisp fold. This is what the inside looks like. 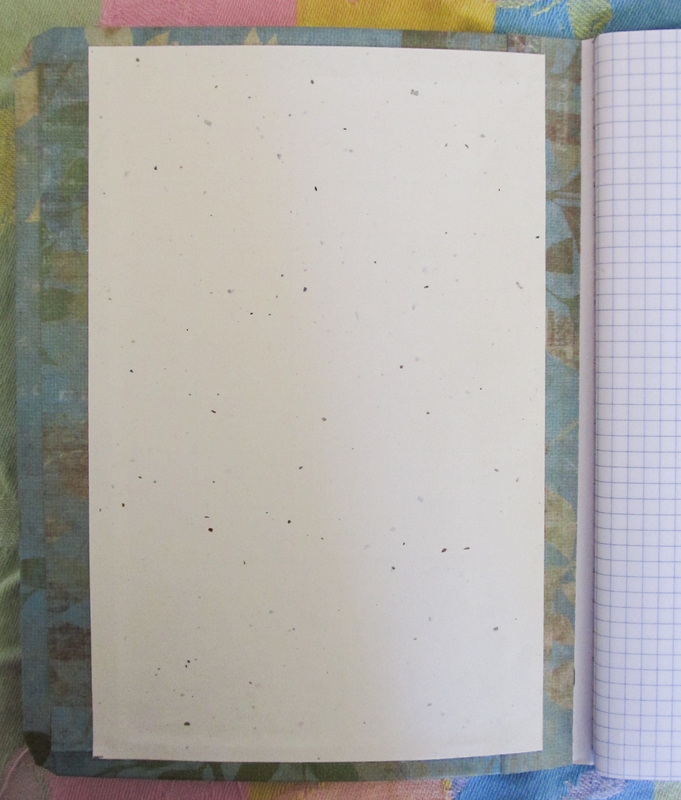 Step 5: Place waxed paper or aluminum paper between inside cover and 1st page. Then place “weights” on the book until the glue dries. 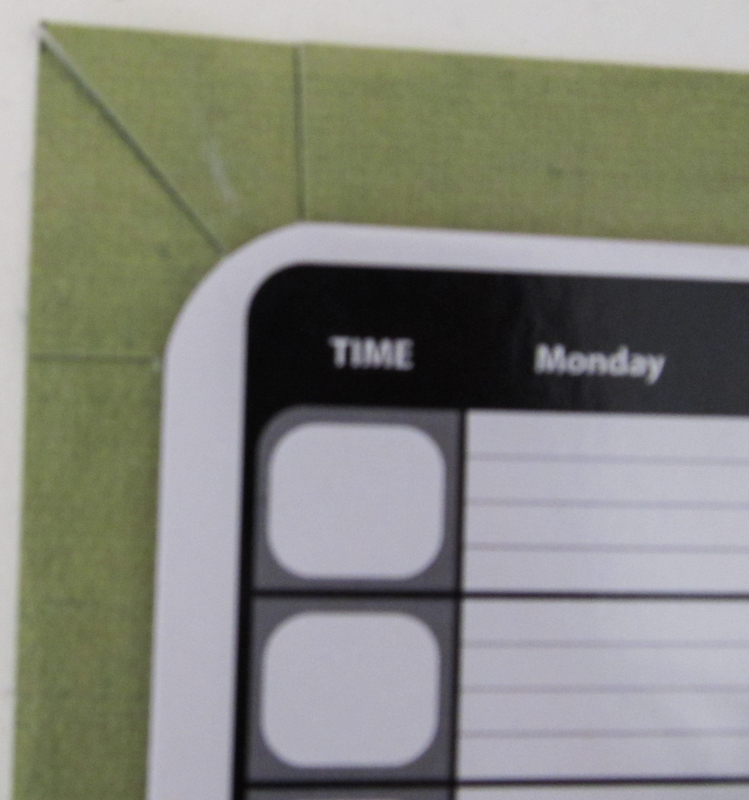 Our composition book has a slick inside cover, we did this to make sure the glue stuck. Step 6: Cut paper for the inside cover, the front endpaper, make sure it is large enough to cover the decorative cover paper. I used a light-colored paper so I could add a bookplate. Again, place under “weights” until endpaper is dry. After the glue has dried, repeat Steps 1 – 6 with the back cover. Step 7: Measure out a 2.5 inch x book length” strip in an accent paper to cover your book’s binding. 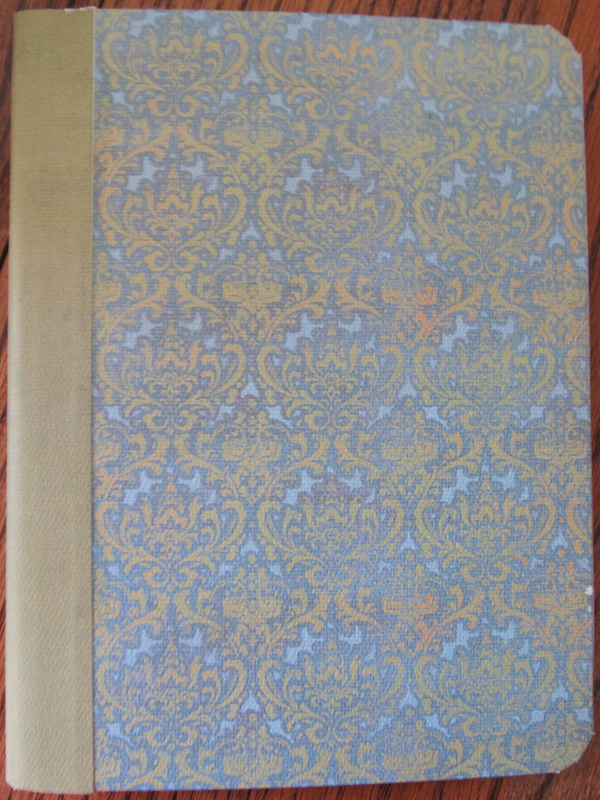 In order to help with the folding, place the paper along the binding and pre-fold. Make sure the binding slightly overlaps the decorative papers on both covers, close the book, and then glue binding. 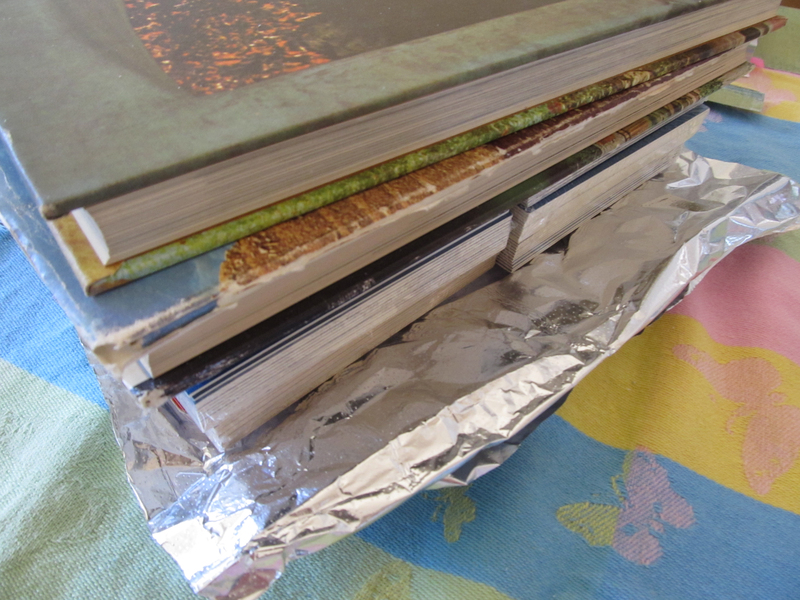 Put waxed paper or aluminum foil around the binding and place under “weights” until dry. Step 8: To hide the seam between the binding and top paper use some coordinating ribbon. 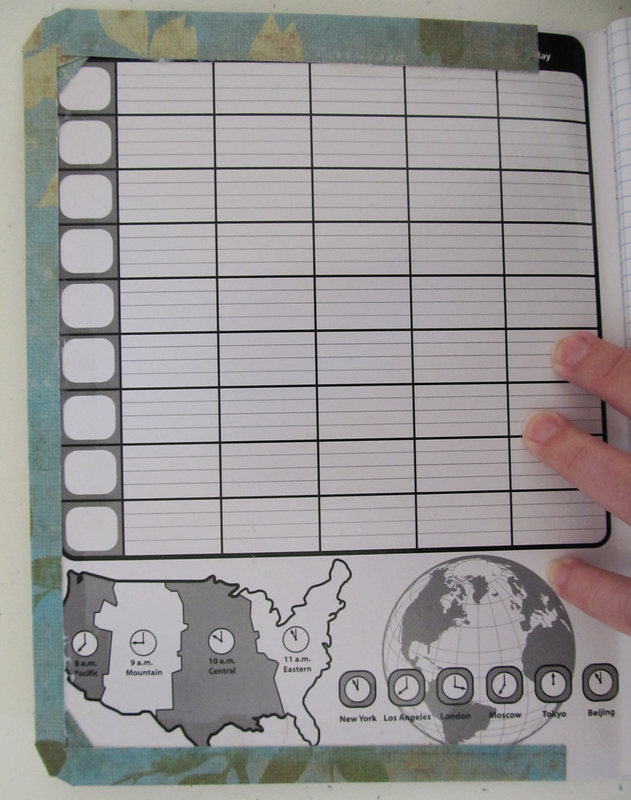 Measure the distance from inside the cover, around the book, and back to the starting point. Using glue tape, attach the ribbon. 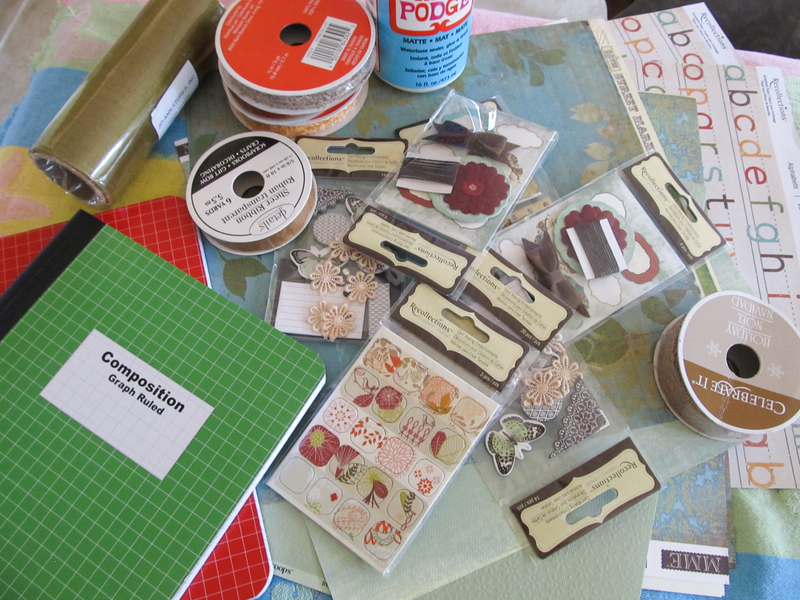 Step 9: After all of the glue is dry embellish it with ephemera, stamps, etc. See our finished examples above. Isn’t it amazing, we started with the same material, but our books look so different! Both are wonderful! Q wants hers for knitting and Curls want hers for general purpose. 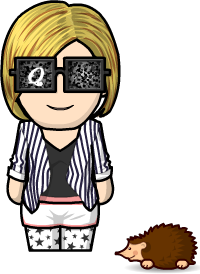 Make one, it’s fun and easy! Please share!